Hampton Street Dental Centre in Elmira, Ontario is patient-centered practice that offers comprehensive dental care. Patients are our top priority! Our dental team performs a range of family and cosmetic dental services, from simple fillings and teeth whitening to full smile makeovers - all performed in a warm and caring environment. TVs in every room make your appointment a comfortable experience while laser technology puts us at the cutting edge of patient care. Unable to take time off from work? No problem - we're open late evenings and offer Saturday appointments as well! Have an emergency? Call us for same-day care. Take a look at the range of services we offer, including 6 month braces, needle free laser dentistry and dental impants. Come in for a consultation! We do braces for both children and adults. Clear brackets & white wires mean less noticable braces! We also offer Invisalign® technology and clear aligners. These clear, plastic braces are offer a modern way to straighten your teeth. At Hampton Street Dental Centre, we offer more than just one way to whiten your teeth. Whether it's done right in the office, or as a take home whitening set, we have a whitening method that will suit your needs. Book a consultation to find out more about our laser whitening, Zoom! technology, and Rembrandt® take home whitening kits. This cutting edge technology offers faster recovery time, less noise, reduced risk of infection, and less bleeding. 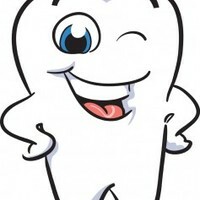 Dentistry without needles means a more pleasant, anxiety-free experience. For more information: Biolase, Revolutionizing Surgery. Our office is one of the few in the area that is qualified to provide these services. Call us to see if you are a candidate! We offer same day denture repairs as well as additions. We do all types of surgical extractions, including wisdom teeth with or without sedation (nitrus oxide, laughing gas). Nervous or anxious? Listen to music, watch TV (or movies) while you have your work done! We value personalized attention and long-term relationships with our patients. Dr. A. Pannu is an experienced practitioner with over 20 years of experience. He holds two dental degrees (BDS, DDS) and graduated from the University of Toronto. He is an active member of the Ontario Dental Association (ODA), Academy of General Dentistry (AGD) and Academy of Laser Dentistry (ALD). Dr. Pannu is married with two children. You'll find Amy at the front desk of Hampton Street Dental Centre. With a background in accounting and finance, she can help you with all your insurance questions and treatment related queries. Our state of the art dental clinic offers features that will make your appointment enjoyable. Give us a call to book your appointment. New patients welcome! Hampton Street Dental Centre is located at 8 Hampton Street, Elmira, Ontario.